Dirty Martini Queen's Musings: Fall XStitch and some Jovi thrown in for fun! Fall XStitch and some Jovi thrown in for fun! It takes me a week to decorate the house for Halloween but I love every minute of it. I have so much stuff that Mark made me promise that anything new Halloween coming into the house requires at least one thing going out. Now you'd think he'd know by now that he'll never even notice something new unless I point it out to him so I'm safe in saying not too much will be going out. These are a few of the Halloween theme cross stitch and I need to make some of the every day, year round stitching. 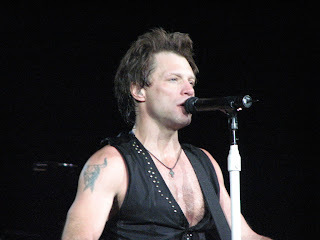 And a couple of Jovi pics from the Atlanta show in April of this year. Of course there is the one everyone swoons over...Jon but more importantly is there is a great pic of my man David. I get weak in the knees just looking at the pics. 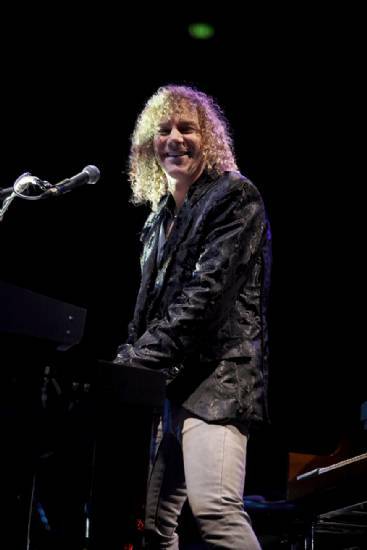 Remind me sometime to tell you all about my out of body experience where David sang Bed of Roses to me! I thought I'd died and went to heaven at that moment. We're headed to the Country Living antique show this weekend at Stone Mountain and I just can't wait. I hate that it's this weekend since it is Mark's birthday and all but what better way for him to celebrate than doing something I love. What a guy! And by the way, he showed up at the bank today with gorgeous flowers for me just because. Now you know why I'm still crazy about him after all these years. He treats me like the queen that I am! Have a good weekend!